Facial recognition technology was already seeping into everyday life from your photos on Facebook to police scans of mugshots when Joy Buolamwini noticed a serious glitch: Some of the software couldn't detect dark-skinned faces like hers. That revelation sparked the Massachusetts Institute of Technology researcher to launch a project that's having an outsize influence on the debate over how artificial intelligence should be deployed in the real world. Along the way, Buolamwini has spurred Microsoft and IBM to improve their systems and irked Amazon, which publicly attacked her research methods. On Wednesday, a group of AI scholars, including a winner of computer science's top prize, launched a spirited defense of her work and called on Amazon to stop selling its facial recognition software to police. "There needs to be a choice," said Buolamwini, a graduate student and researcher at MIT's Media Lab. "Right now, what's happening is these technologies are being deployed widely without oversight, oftentimes covertly, so that by the time we wake up, it's almost too late." Buolamwini is hardly alone in expressing caution about the fast-moving adoption of facial recognition by police, government agencies and businesses from stores to apartment complexes. Many other researchers have shown how AI systems, which look for patterns in huge troves of data, will mimic the institutional biases embedded in the data they are learning from. For instance, if AI systems are developed using images of mostly white men, the systems will work best in recognising white men. Those disparities can sometimes be a matter of life or death: One recent study of the computer vision systems that enable self-driving cars to "see" the road shows they have a harder time detecting pedestrians with darker skin tones. What's struck a chord about Boulamwini's work is her method of testing the systems created by well-known companies. She applies such systems to a skin-tone scale used by dermatologists, then names and shames those that show racial and gender bias. Buolamwini, who's also founded a coalition of scholars, activists and others called the Algorithmic Justice League, has blended her scholarly investigations with activism. 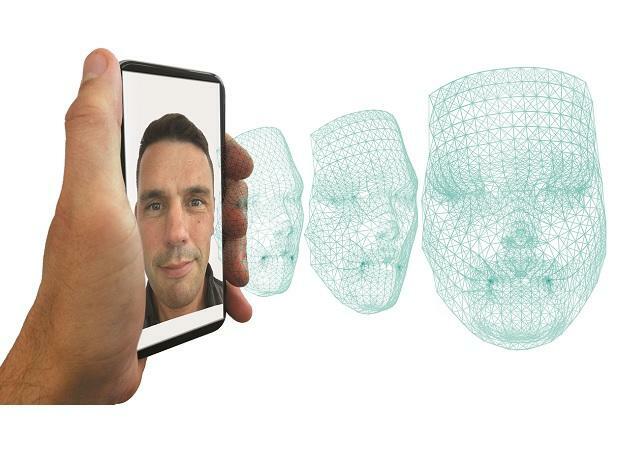 "It adds to a growing body of evidence that facial recognition affects different groups differently," said Shankar Narayan, of the American Civil Liberties Union of Washington state, where the group has sought restrictions on the technology. "Joy's work has been part of building that awareness." Amazon, whose CEO, Jeff Bezos, she emailed directly last summer, has responded by aggressively taking aim at her research methods. A Buolamwini-led study published just over a year ago found disparities in how facial-analysis systems built by IBM, Microsoft and the Chinese company Face Plus Plus classified people by gender. Darker-skinned women were the most misclassified group, with error rates of up to 34.7 per cent. By contrast, the maximum error rate for lighter-skinned males was less than 1 per cent. The study called for "urgent attention" to address the bias. "I responded pretty much right away," said Ruchir Puri, chief scientist of IBM Research, describing an email he received from Buolamwini last year. Since then, he said, "it's been a very fruitful relationship" that informed IBM's unveiling this year of a new 1 million-image database for better analysing the diversity of human faces. Previous systems have been overly reliant on what Buolamwini calls "pale male" image repositories. Microsoft, which had the lowest error rates, declined comment. Messages left with Megvii, which owns Face Plus Plus, weren't immediately returned. "We were surprised to see that Amazon was where their competitors were a year ago," Buolamwini said. Amazon dismissed what it called Buolamwini's "erroneous claims" and said the study confused facial analysis with facial recognition, improperly measuring the former with techniques for evaluating the latter. "The answer to anxieties over new technology is not to run 'tests' inconsistent with how the service is designed to be used, and to amplify the test's false and misleading conclusions through the news media," Matt Wood, general manager of artificial intelligence for Amazon's cloud-computing division, wrote in a January blog post. Amazon declined requests for an interview. "I didn't know their reaction would be quite so hostile," Buolamwini said recently in an interview at her MIT lab. Coming to her defense Wednesday was a coalition of researchers, including AI pioneer Yoshua Bengio , recent winner of the Turing Award, considered the tech field's version of the Nobel Prize.